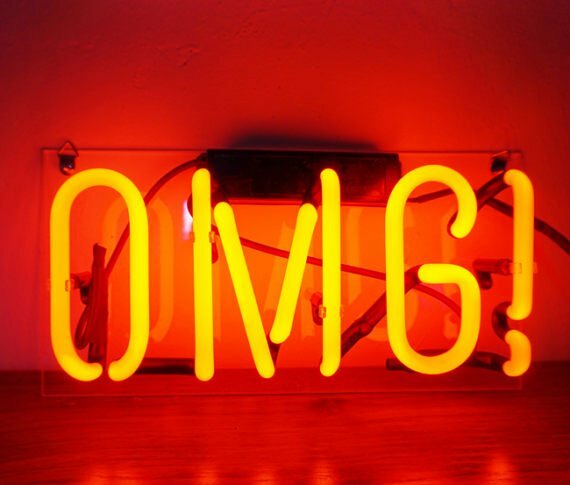 Handmade 'OMG' Oh My God Wedding Beautiful Banner Art Light Neon Sign 12"x6"
Our handmade Neon Signs feature multi-colored, hand blown neon tubing. Great product for your home or business. Great decor Light for Window Display, Art Decor, Man Cave, Play Room, Bar, Pub and Club. This small and sweet Neon Light is surprising gift to anyone! Good for Home decoration and Personal collection! The Neon Signs are made to order. We create your Light after an order is received. We will ship your Neon Sign 3-6 business days after the day of your purchase. Most of the Products reach our buyers within 10-20 days after an order's been placed. Just in case please allow up to 30 days for delivery from the day of your purchase. 'All we have is now' White Art Light Banner Wedding Table Neon Light Sign 11"x7"